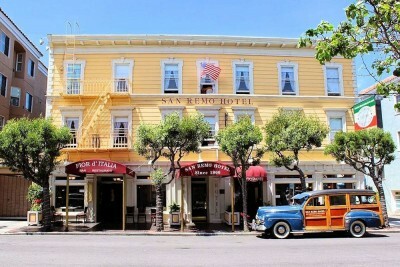 We loved the cozy, family friendly hotel located about 10 minutes walking to fisherman’s wharf. The staff was very helpful with directions and check in. The feel is kind of like a bed and breakfast but they don’t serve food. They are nice to store any leftovers in their refrigerator and allow you to use their microwave oven. The rooms are clean and a bit themed with pictures and decor. 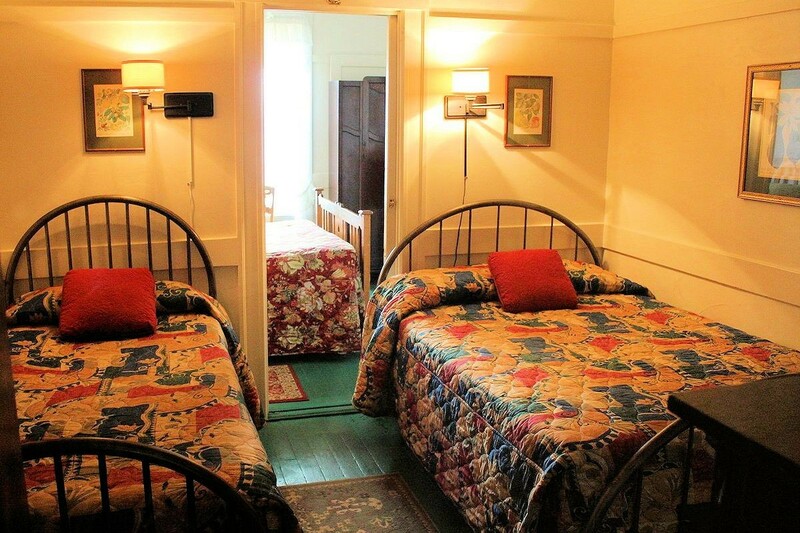 The beds are comfortable and all bathrooms and showers are shared by all guests. 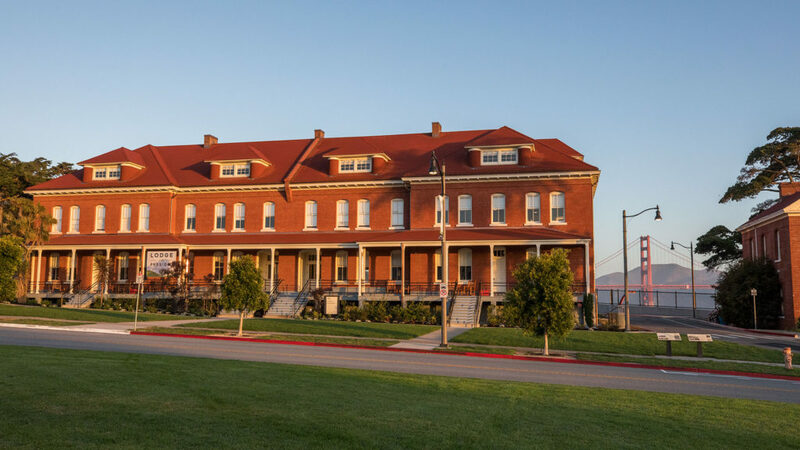 The hotel has been around over 100 yrs and the convenience, location, affordability, service and staff make this a great place to stay. 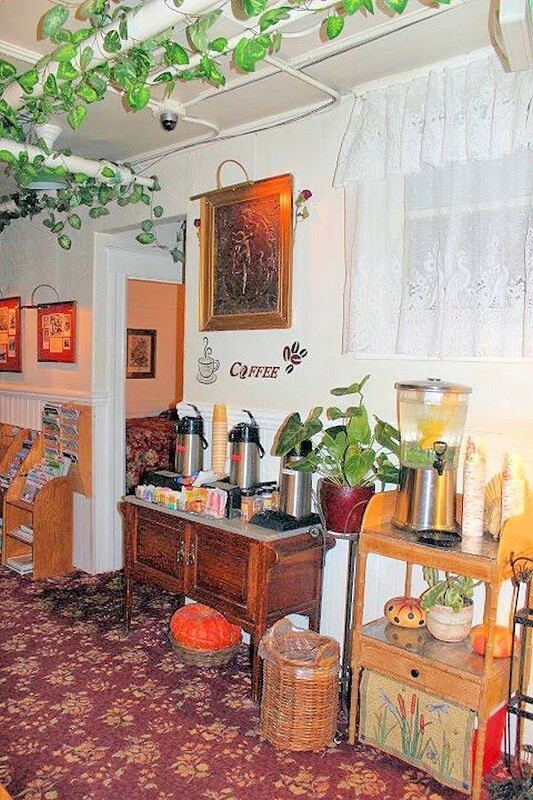 Other amenities include a washer and dryer, water dispenser, coffee, tea and some treats. Plenty of maps, brochures of what to do and free WiFi are included. There are no phones or TVs in the rooms but there are some quaint sitting and shared reading places. 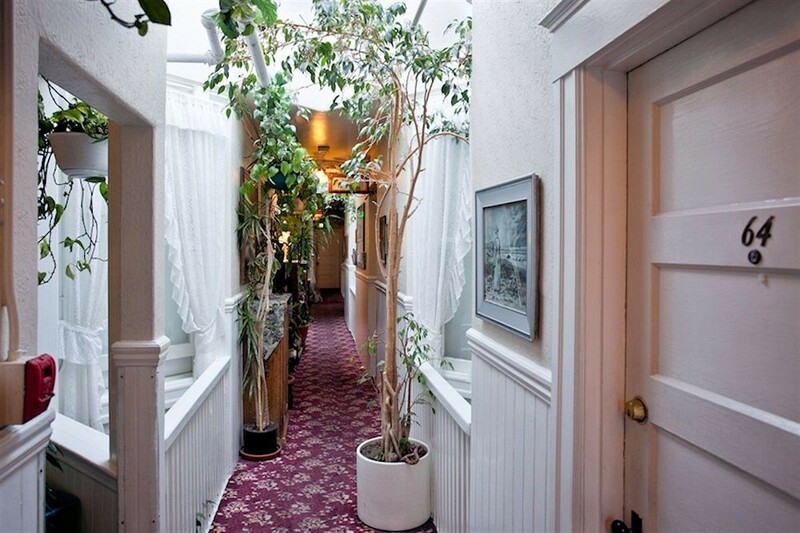 If you are looking for a more home feel place near Fisherman’s Wharf, this is your place. I have stayed there multiple times for a good reason. They are very accommodating and a more relaxed feel than the big chain hotels. 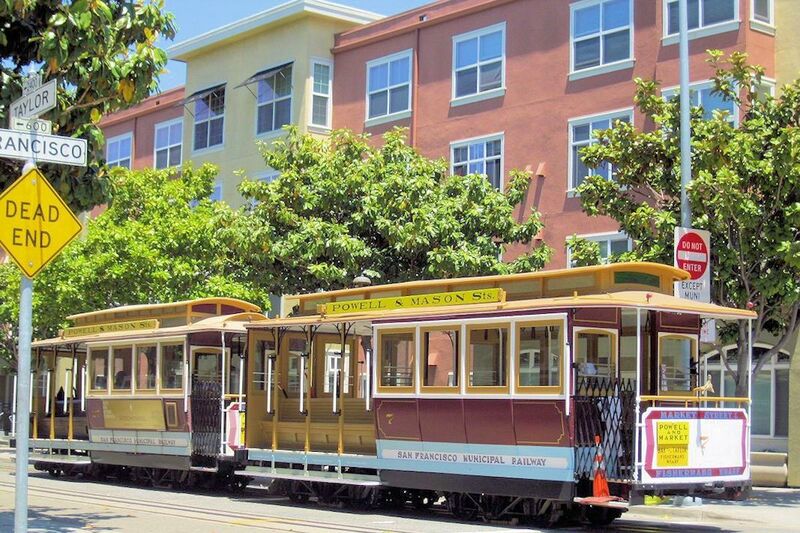 The Powell- Mason cable car Stop is 2 blocks away. Another must is to take the cable car. Besides getting you around, it is the most fun transportation. We took he Powell Mason line from near our hotel (San Remo) and headed up to Union Square. This place was extraordinary and a treat as we stayed there one night. 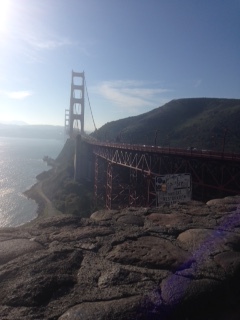 The views of the Golden Gate Bridge and city in the background are breath-taking. Take a walk nearby on one of the trails and enjoy the open fresh air. 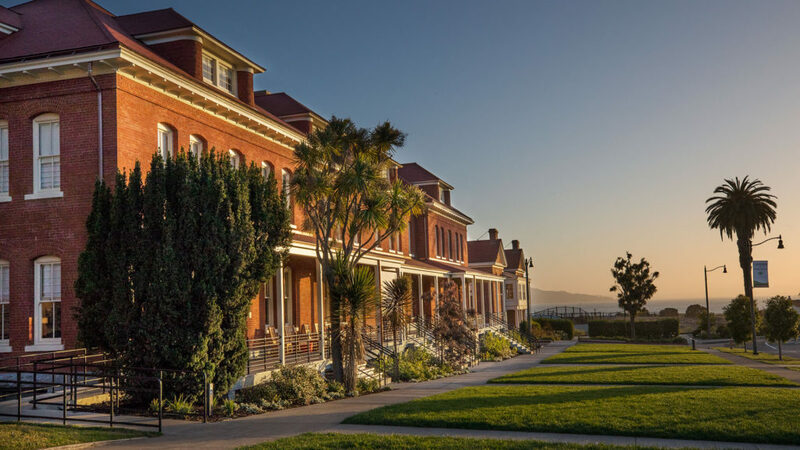 Visit the YMCA for a workout or swim, The Walt Disney Family Museum next to the Lodge and the House of Air trampoline park. All fun things to do in the area. The Lodge was beautiful and the staff was friendly. The room was spectacular with a spacious area, separate sitting space and upscale décor. 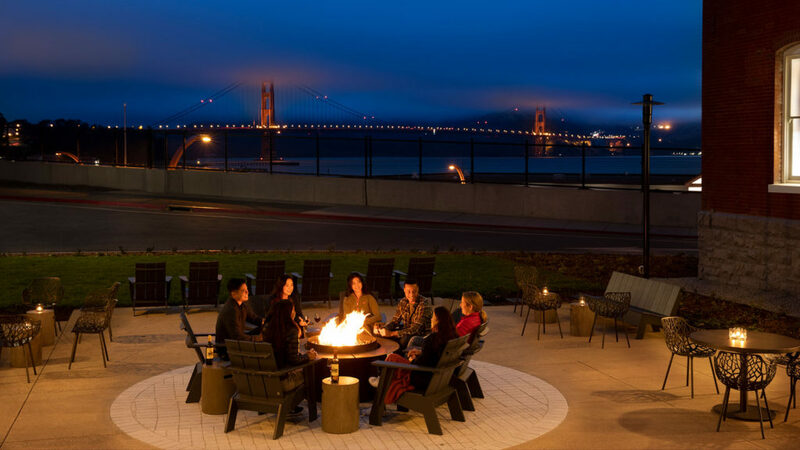 The high end Lodge is a great stop on your next visit to the city. 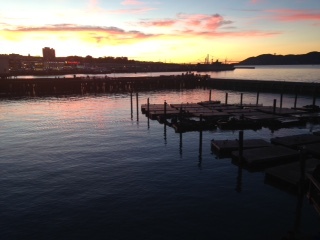 Pier 39 is an obvious must visit and most popular tourist place. From shops, restaurants and other attractions such as the aquarium by the bay, The 7D video adventure, the carousel, aquarium, street shows, the Christmas tree lit up and the signature sea lions that took over the other side of Pier 39 and are fun to watch. You can spend the whole day there and even take a harbor cruise. Ice skating at union square was a blast. If you go in the winter, this is a must visit. Full of fun and in the heart of Union Square. The San Francisco CityPASS is a great way to save money on a variety of attractions and transportation including the cable car and muni buses. The second one was at the San Francisco Symphony with the original “Mary Poppins” (the film). playing behind the big symphony orchestra. Quite the seen and beautiful music with the conductor. Check out their site for future symphonies. 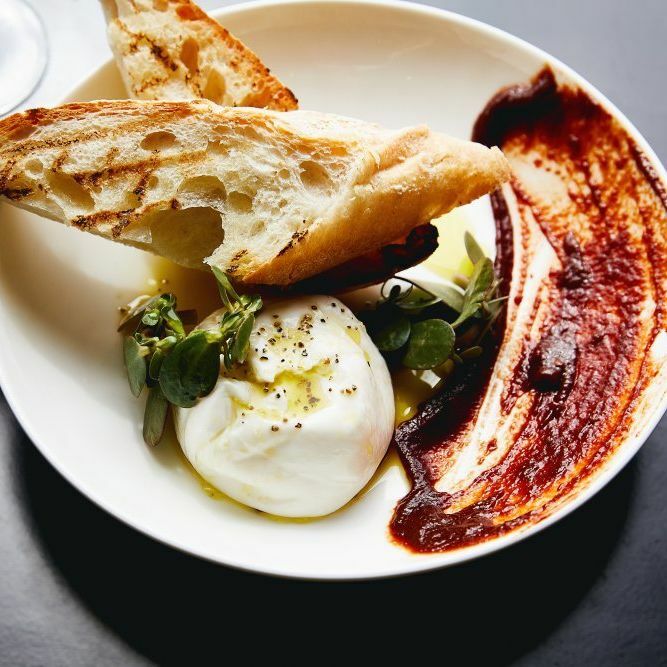 Scala’s Bistro near Union Square is one of our go to places every visit to San Francisco. 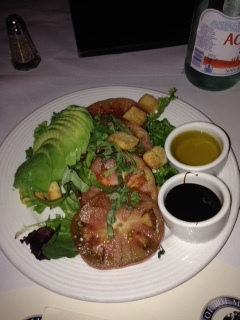 This popular Italian establishment with great service and flavorful food is a must visit. Try their unique squid ink pasta with calamari or northern halibut. The service is fantastic and location is great. 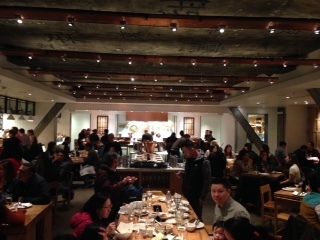 Their open kitchen and comfortable booths make your dining experience much better. 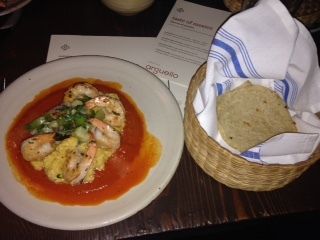 The staff was very friendly, helpful to enhance our lunch. 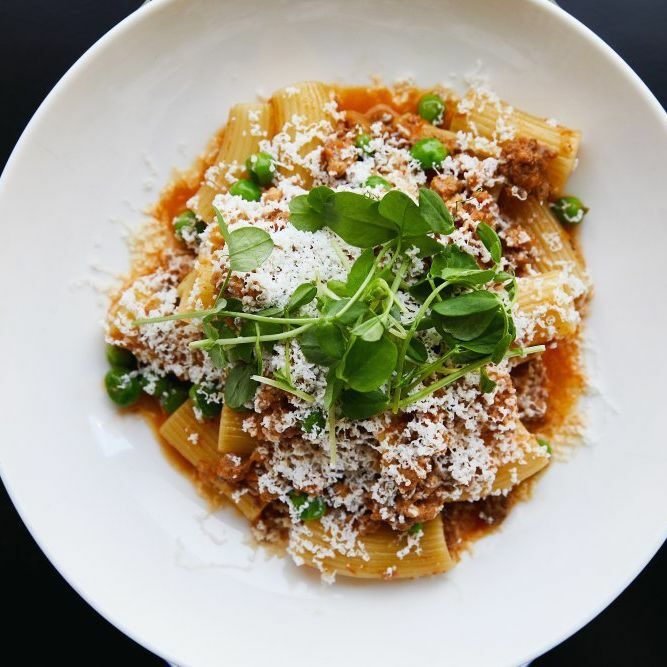 The menu has a nice variety of Italian dishes so you cannot go wrong. 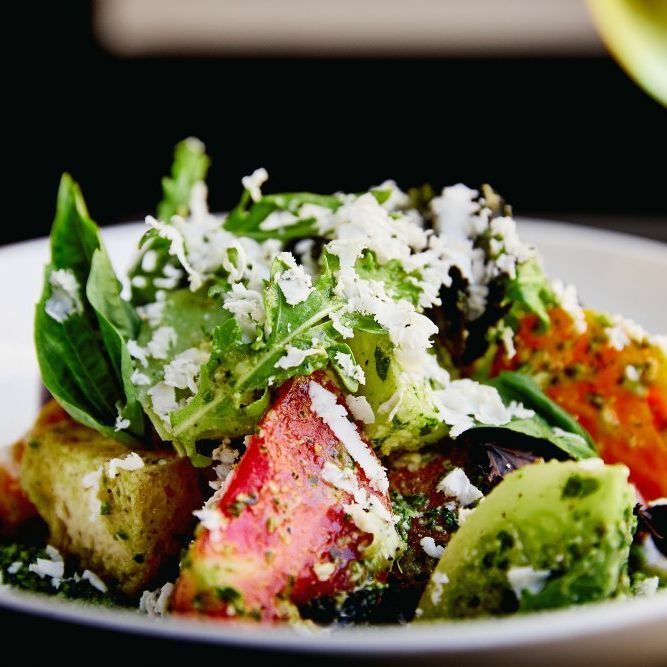 From antipasti to salads, wood-fired pizzas, pastas, meats and seafood. 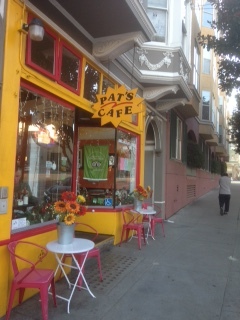 Pat’s for breakfast about 1-2 blocks from the San Remo Hotel serves al, the popular breakfast choices from eggs, pancakes, waffles and more. They were very accommodating and quick while we enjoyed out tasty morning meal. 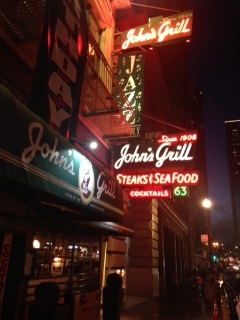 John’s Grill is iconic having been in business 110 years now. This classic steak & seafood establishment serves up classic starters and entrees to suit any palate. Their starters range from steamed clams, escargot, soups/salads and more. 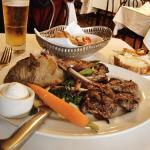 For the main course, do not miss their signature lamb chops. The #9 Fisherman’s Grotto at the Wharf is the place to go if you love seafood. They offer other great choices but the fish selection is vast. The service was top notch and the manager Jordan was very welcoming. From the moment you arrive, you are treated as a supreme guest from everyone as the staff is on top of it pouring water, cleaning up the table and taking any other requests very promptly. 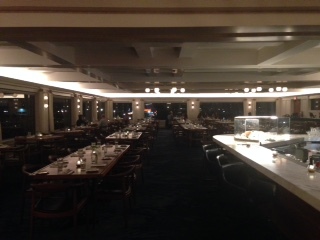 Dine while you enjoy looking out their impeccable clean windows watching Fisherman’s Wharf. For starters, we had the tasty clam chowder, fried calamari, steamed clams and soft shell crab – all great choices and hard to find better. The atmosphere is upscale and very relaxing. 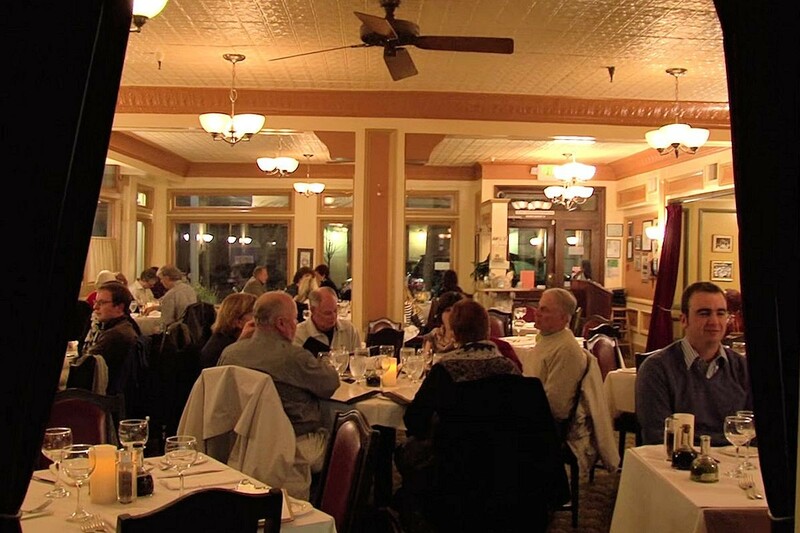 During popular times of the year, they have live piano music while you indulge in this great dining experience. 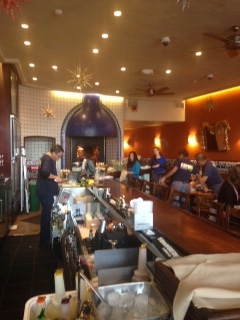 They have a wide selection of entrees from pastas to fish tacos to their crab melt. The best dish was the garlic wok crab – messy but worth it as you do a lot of the work cracking but it makes you not eat too fast. 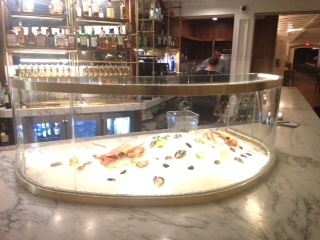 They have an extensive wine list and cocktail menu to accompany your meal. 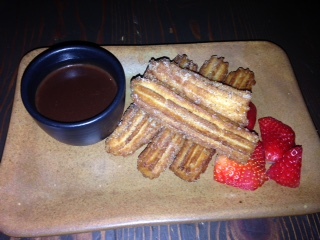 Finish it off with some dessert. This place is not to miss. 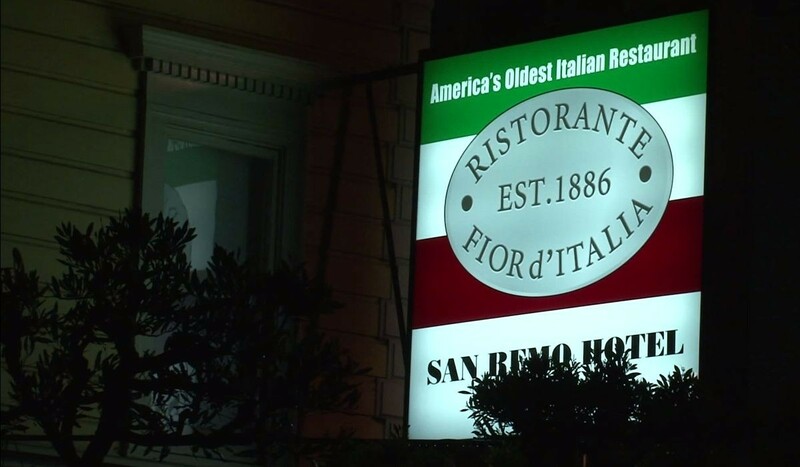 Fiord d’ Italia adjacent to the San Remo Hotel where we stayed most of the time offers fine dining Italian Cuisine and is the oldest Italian restaurant in the city now in business 132 years. We had lunch as they have a nice variety of salads, appetizers (calamari is not to miss), sandwiches, pastas and fresh fish. 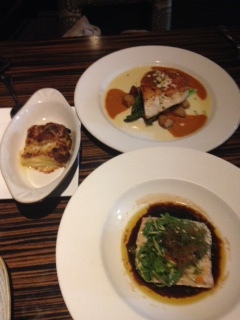 The dinner menu is more extensive and expensive but great food overall. 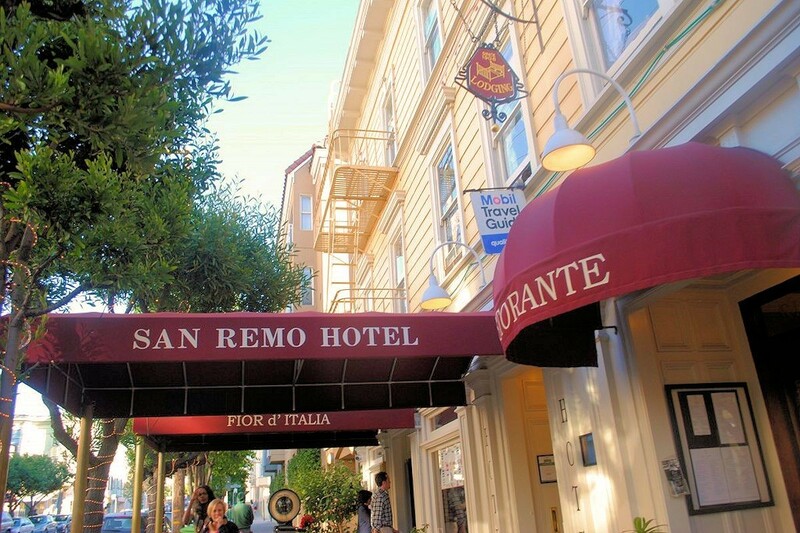 Located at the start of Chinatown and end of Italian section of north beach, you will not find any other places like this. 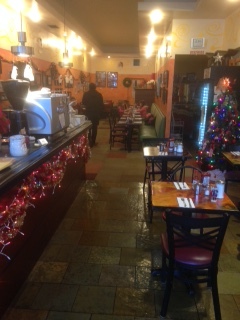 Most of the restaurants are older or mom and pop. 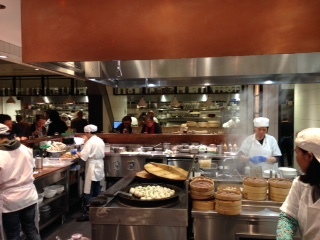 If you want a modern looking fine dining Chinese/dim sum restaurant with an open kitchen, this is your stop. I highly recommend it as you will enjoy a wide variety of starters from their red seafood dumplings, veggie pan- fried spring rolls and shrimp/scallop shu mai. So many choices so try one of their soups- we had the beef with noodles. 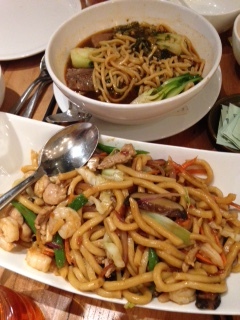 With a big list to choose of rice and noodle dishes, we went for the flat noodles with shrimp and veggies. 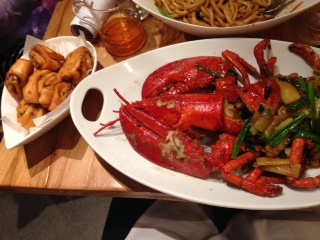 The top choice was the whole lobster with green onions in a delicious black bean sauce. This was the more milder way and make sure to tell your server (Cheryl was out fantastic waitress) if you want it spicy or not. 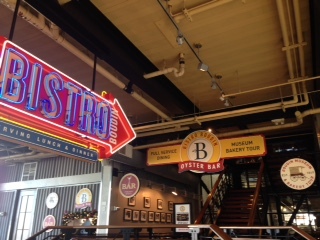 Boudin Bistro and Bakers Hall- If there is one place to visit at Fisherman’s Wharf, this is a must visit. 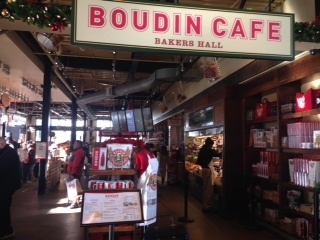 The oldest and biggest sourdough operation in the country, Boudin offers fantastic food and a great experience. We started with breakfast at Bakers Hall. The manager Ryan set us up with a great table to people watch while we enjoyed breakfast. The crab omelet is the top choice and we also had a bagel with cream cheese and smoked salmon. 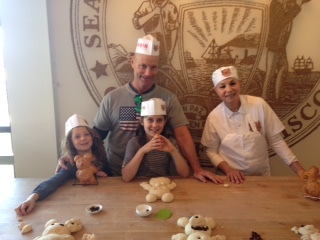 We then came back to “roll with the bakers” – a very fun interactive family friendly experience where you roll the sour mother dough to make your favorite animal or bear. Get creative as nobody judges. You are provided with a pre-made sourdough bear decoration abs then tour the huge factory and museum watching all the facets of how they make the bread. They make 20,000 loafs a day and the production is quite impressive. There are often people out in front watching through the windows of the bread kitchen as it is a site to see. 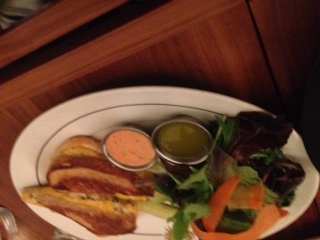 Don’t miss dining at the Boudin Bistro as we came back for dinner. 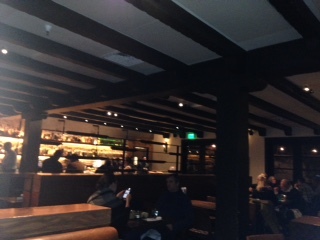 The upscale decor and atmosphere with a big bar and TVs in the middle gives it a very nice look. Start with the unique crab roll surrounded by just avocado and the pasta with meat sauce is great for kids. 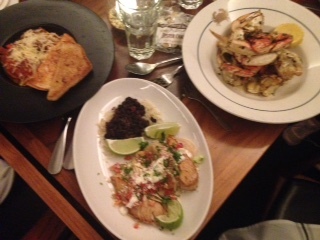 Entrees we chose were the seafood paella and surf/turf filet with a lobster tail. Enjoy some wine or a cocktail from their drink menu to go along with the great food. 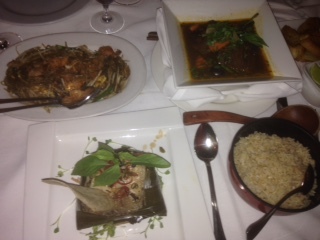 Le Colonial Vietnamese cuisine was perhaps our favorite restaurant of the trip among all the amazing places. 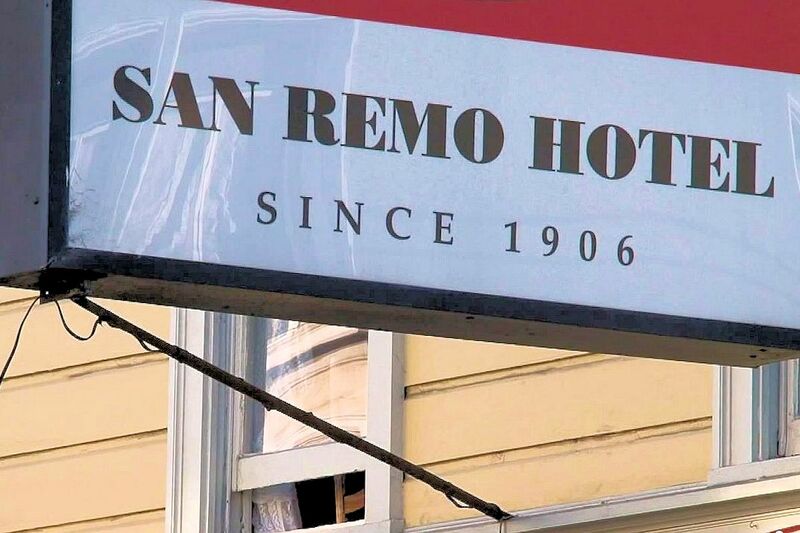 Located near Union Square, your experience will be very unique. Our server suggested the ginger flavored vodka martini with a splash of honey and that paired well. 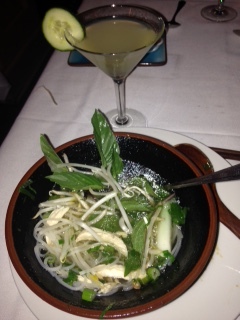 Start with the chicken soup pho with chicken and noodles especially on a cold night. 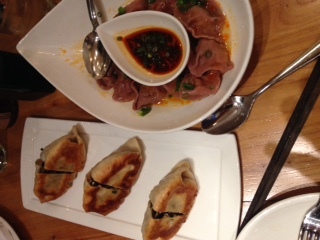 The seafood potstickers were also a big hit. 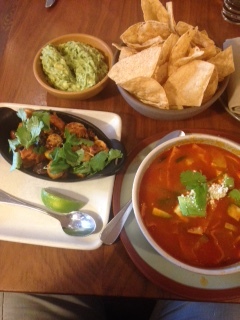 Another Mexican place when you make it to Sausalido is Copita. Of all the cities I have ever visited, San Francisco is the best for the most and convenient family friendly attractions, ease in getting around, activities and places to see/visit. You can find out about any of the at their website below. Laurie Armstrong (Senior Director of PR & Media Relations) at SF Travel is the most helpful and prompt person around.